Repairs and spares for all makes and models of lawnmower and garden machinery. 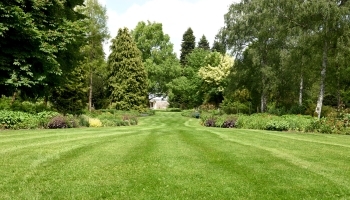 Clarke & Allen was established in 2003 and provides comprehensive and inclusive garden services. Each team can work independently or together depending on the scope of your garden project. We are fully insured and guarantee all our work and are happy to provide references on request. Whatever the size of your garden project we can provide the right combination of skills to get the job done with as little inconvenience to you as possible. No more waiting around for different trades, we will schedule and co-ordinate so that everything is completed in a timely manner and in the correct order ... no matter the size of the job we've got it covered. Our professional landscaping team will improve the look of your garden and optimise the space. 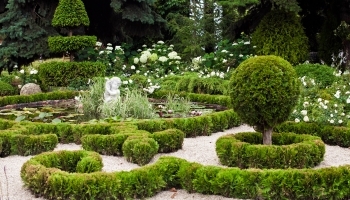 We provide a professional garden maintenance service allowing you to enjoy your garden. 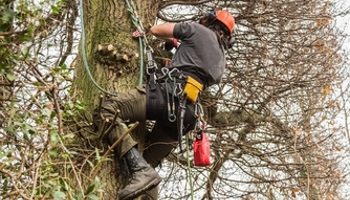 Our qualifed team of tree surgeons is available for all your tree care requirements. Clarke and Allen have a dedicated workshop for servicing your garden equipment. Our friendly professional mechanic works each Wednesday on a wide range of makes and models of machines. All types of lawn mower, ride on tractors, chainsaws, hedge trimmers, strimmers both petrol and electric. Prices start at just £49 plus parts and VAT for a small push petrol lawnmower. We charge just £18 for our diagnostic service and estimate for mowers and smaller machinery. This fee is waived if you then proceed with the work. For ride on lawnmowers and lawn tractors please call 01494 711375 for more information. We have a trade counter where we can supply lawnmower parts, oils, Spear and Jackson garden forks and spades. 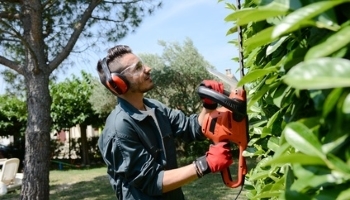 We also supply arborist equipment including Marlow Ropes and Silky saws, refurbished garden machinery and new leaf blowers. We offer a free collection and delivery service for pre-booked customers of domestic lawnmowers within a 5 mile radius. For lawn tractors please get in touch for details on 01494 711375 or email info@clarkeandallen.com. 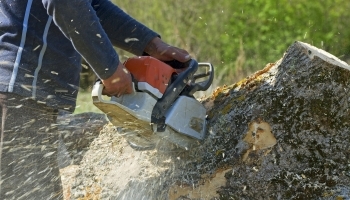 Stump removal is included within our tree surgery service if required or our experienced team equipped with specialist machinery can safely remove existing stumps from your garden. Our lawn care team can provide a regular seasonal treatment service or are available on call for troubleshooting. From dry patches to moss, we have a range of treatments to bring your lawn back to life.